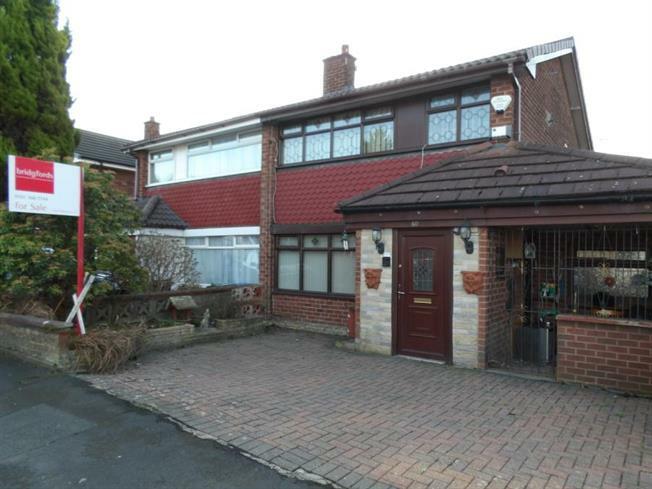 4 Bedroom Semi Detached House For Sale in Hyde for Offers in the region of £200,000. Extended semi-detached property in the sought after Godley area of Hyde. Conveniently located within walking distance of Godley Train Station and offers easy access to the M60 motorway nearby. The spacious accommodation comprises entrance porch, lounge, fitted kitchen diner, utility room, bedroom and wet room to the ground floor. to the first floor you will find three bedrooms an a family bathrom. Externally there is a tiered rear garden backing onto woodland. To the front there is a block paved driveway for two cars.